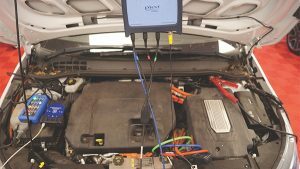 High Amperage Ampera – Part Two – By James Dillon of Technical Topics. 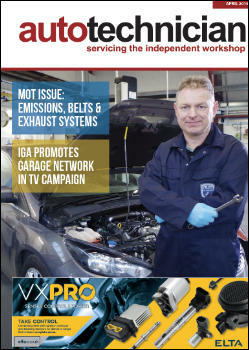 The recent SMMT figures for new vehicle sales provide a bellwether for independent vehicle workshops. How so? Well, if we review the 2018 sales, they are indicating a significant shift, one that many of my independent aftermarket colleagues may not be completely conscious of. 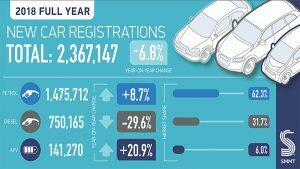 From January 2018 through to December 2018, the mix of vehicles sold was: 62.3% Petrol, 31.7% Diesel and 6% Alternative Fuelled Vehicles. Comparing the number of Diesel and Petrol over recent history (2017 and 2016) shows the change even more distinctly. Diesel market share by volume dropped significantly. The figures are 2016 – 47.7%, 2017 – 42%, 2018 – 31.7%. The reason for this is that buyer demand has dropped significantly. Many vehicle manufacturers have pulled diesel vehicles from their product range, such as the Vauxhall Corsa, Toyota Avensis, Seat Toledo, Skoda Fabia, Fiat 500X, Kia Rio and Mitsubishi Outlander. Some vehicle manufacturers no longer offer any diesel variants, including Volvo (post V60), Porsche, Suzuki and Subaru. So, what are the implications for the diesel vehicle population and for independent workshops? Well, simply put, less diesels to service and repair. The latest government figures for all vehicles (licensed cars at the end of the last year) shows a 58.8% petrol to 39.9% diesel split. 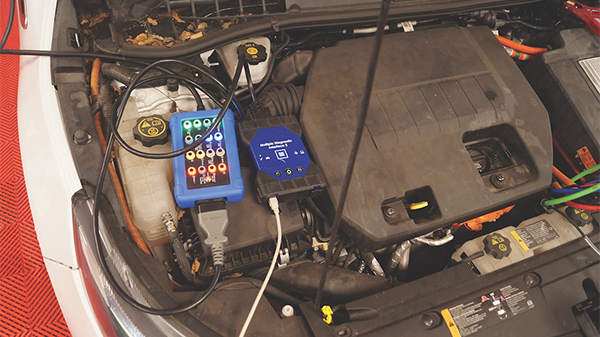 Another influencing factor on the squeeze on diesel may be the MOT regulations, with regards to tightening the emissions standard (and the focus upon tampered emission control devices such as DPF and EGR). The implication being that reversing emission system tampering is very costly; the unreasonable economic equation of a proper repair was probably what led to the tampering in the first instance. Tighter MOTs alone could see the existing ‘stock’ of used diesel vehicles shrinking. The twin factors of fewer new sales and increased ‘scrappage’ mean that the decline is likely to be quite rapid. The cynical and conspiracy theorists among us could suggest that the MOT measures are, in fact, a scrappage ‘scheme’ by proxy – considering that the ‘natural’ rate of decline is before the government bring out the big guns of change (fuel duty and road tax increases) to really encourage a shift away from diesel. So, where does this leave us? An increase in petrol engine vehicles for sure. 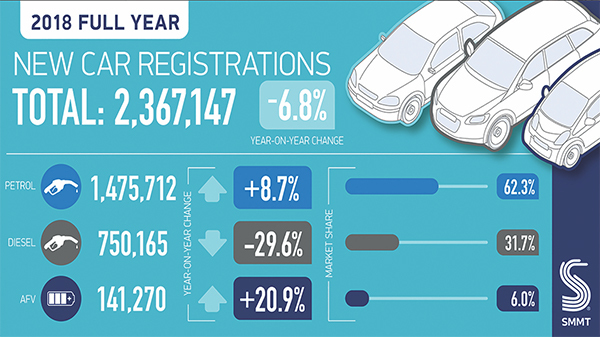 The continued increase in Hybrid and Electric Vehicles – highly likely. The SMMT data above shows the continued surge in Alternatively Fuelled Vehicles (20.9% of total sales 2018), even though this is from a very small base. How should this influence the skills mix in our workshops? 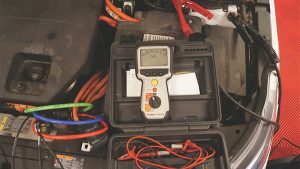 You’re probably going to need to upskill on the finer points of petrol engine management diagnostics, fuel trims, ignition analysis, fuel injector analysis and the like. Given that the predicted growth will be in Hybrid Petrols (with pure EV likely to remain a developing segment), certified high voltage training, motor/ generator and battery management systems diagnosis will complete your skills mix nicely. It’s critical to consider that your high voltage training should go beyond the basics of make safe/remove and repair and must include practical aspects of HV system diagnosis. 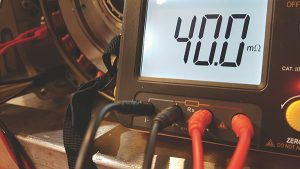 Which leads us on to the high amperage Ampera, (see Part One of the case study in the May 18 issue on HERE). Our Vauxhall Ampera would not drive. It would power up on the ignition switch, but it was unable to move under its own power. This could be considered as the equivalent of a crank – no start condition of an internal combustion engine vehicle, see Figure 1. An additional issue was that the vehicle would not charge from its mains charging lead as the battery was in a low state of charge due to the fault. The problem occurred whilst the owner was driving the vehicle. The warning came on the dash and the vehicle soon lost power and it had to be recovered back to their house. Unfortunately, they had real trouble finding a repairer locally to investigate the source of the problem, including the franchised dealer. 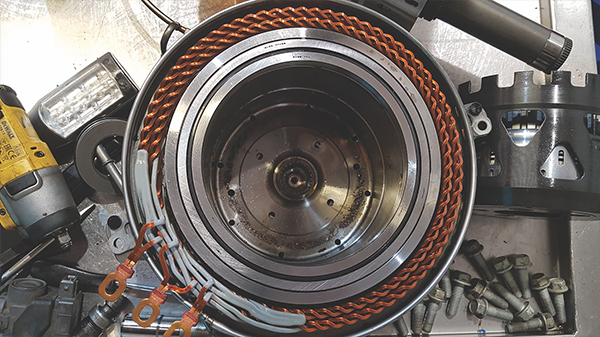 A scan showed a High Voltage fault, see Figure 3a and current analysis indicated that the motor generator unit was pulling a large amount of current during the self-test phase on a single motor winding. The system self-test applied significant current to the winding to check for insulation faults. Our odd phase showed 350 amps being drawn prior to the fault being set and the vehicle dropped into no-go mode. We used a variety of other test techniques on this motor generator as an experiment to see which methods were most effective to diagnose this type of issue, including a device the Japanese manufacturer’s rate for this test, the milliohm meter. The milliohm meter is a highly sensitive device that it is highly influenced by temperature. 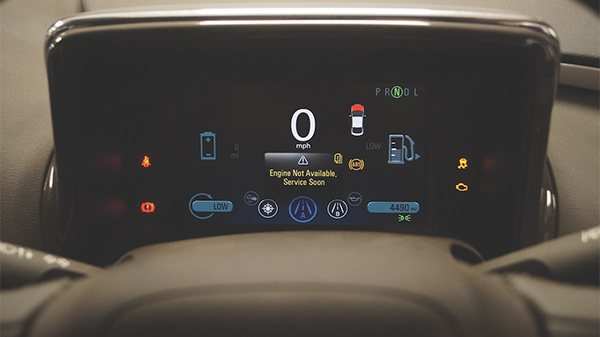 The manufacturer states that the vehicle should be at rest for a period of 8 hours or longer to normalise the readings. 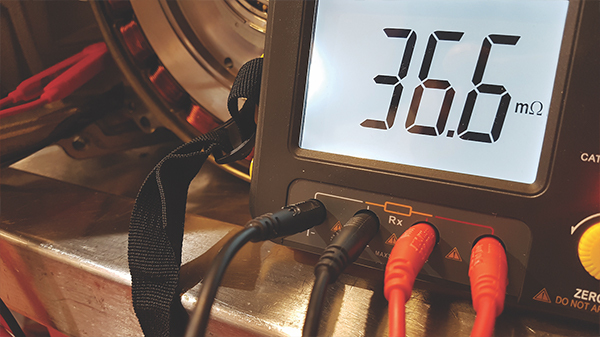 The milliohm meter is sensitive enough to detect the difference in two slightly different lengths of standard wire, down to 1/100000th of an Ohm or 0.00001 Ohms. When this unit was applied to the motor windings, two of the phases showed 36.6 milliohm and the third showed 40.0 milliohm. The motor shares two sets of windings across each pair of phase connectors. 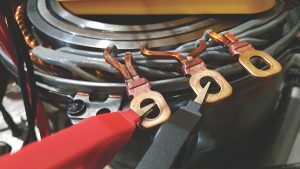 Therefore, two sets of windings are reading differently – one too low due to the shorted winding and one set reading ‘correctly’. 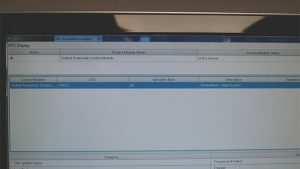 The term ‘correctly’ is a ‘ield based assessment, as Vauxhall do not give a specification. Photographic evidence of the root cause was taken after the transmission unit was stripped and disassembled. The windings clearly show signs of overheating, causing the short circuit and the increase in motor current. The question remains as to why the smaller motor generator did this? For now, we have to perform calibration relearns on the replacement motor and check that the function of the motor driver hasn’t been harmed by the excessive current caused by the original fault.